The lab celebrated the new year, a new grant, and Graham’s F32 notice of award by a trip to HiWire Brewiing in Durham. The lab went to the Cytokines 2018 meeting in Boston, and graduate students Daltry and Mike presented posters. Here’s Daltry and Mike, along with Coers lab student Dulce, enjoying the sites of Boston. Stacy and PhD student Christine went to Dublin for the HCV 2018 Conference. Christine’s poster was selected for a flash talk at the conference, and she nailed it! Congratulations to Madhu on her new job in the Asokan Lab at Duke, where she is going to learn more about engineering viral vectors. The Horner Lab welcomes MGM graduate students Daltry Snider and Chin Yee Tan to the lab! Our first research publication of 2018 (and first Zika virus study) is out. 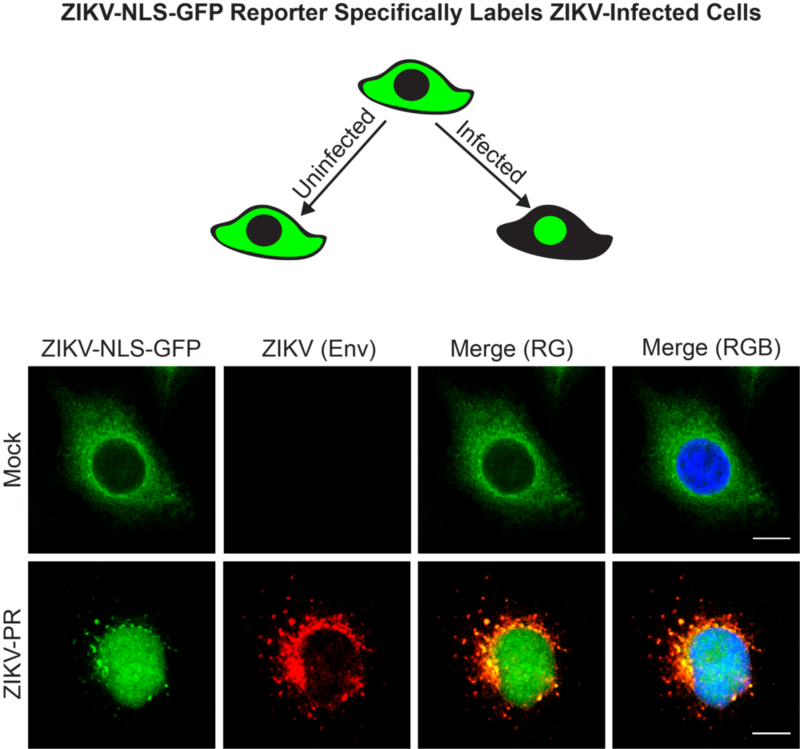 Check out Mike's work in collaboration with the Silver Lab at Duke on developing a method to image Zika virus infection in real time! You can see it online here. Congratulations Mike! Horner Lab undergrads are moving on to big things!! Congratulations to former undergraduate researcher and current lab technician, Kevin, on his acceptance into medical school at Albert Einstein University and to our undergraduate, Sydney, on her acceptance into Harvard to pursue her PhD. We are so proud of both of them! Horner Lab graduate student, Allison, was awarded an F31 Predoctoral Fellowship to support her research defining novel regulatory controls of hepatitis C virus envelopment. Congrats Allison! This past Friday, our undergraduate student, Dillon Fernando, presented a poster of his undergraduate thesis. Good work Dillon and good luck in your future! Welcome to new postdoctoral fellow Graham Williams, coming from Wash U in St. Louis. Congratulations to Dia, who just found out that she will be awarded an American Cancer Society postdoctoral fellowship. Stacy and graduate student, Allison, had a great time at the 2017 HCV meeting. Allison presented her work on HCV envelopment in beautiful Cape Cod. Looking forward to next year’s meeting in Dublin! Happy 4th Birthday to the Horner Lab! We celebrated with some popsicles from a Durham and lab favorite, Locopops! 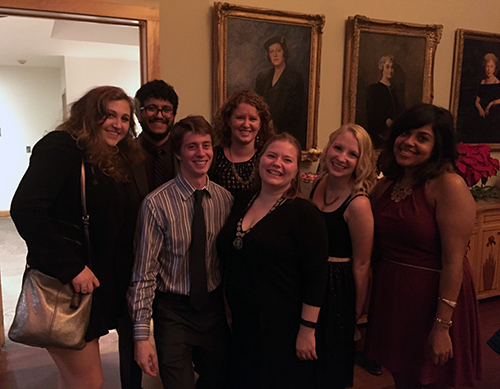 Congratulations to Christine on receiving the Burroughs Wellcome Fund Graduate Diversity Enrichment Program Award! Mike McFadden become the Horner Lab's 4th PhD Candidate! Congratulation on passing your preliminary exam, Mike! Nandan was awarded the American Heart Association predoctoral fellowship! Congratulations, Nandan! We welcome Dr. Madhu Vijayan to the lab for her postdoc. She just received her PhD from U. Missouri. The Horner Lab had the best time at ASV 2017 in Madison, Wisconsin this past week! Stacy was honored as a 2017 Ann Palmenberg Young Investigator. We are very proud! Additionally, postdoc, Dia and graduate students, Christine and Allison, gave talks on their work and Nandan shared his poster! Thanks for an awesome week of networking and science, ASV! 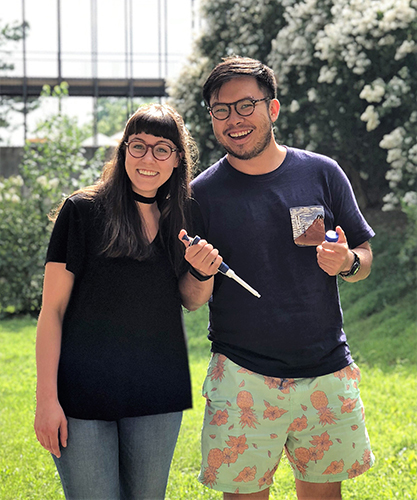 The Horner Lab welcomes former lab undergraduate, Kevin Labagnara, as a Research Technician for the next year, and summer undergraduate Sirena Tran from the University of San Diego. Stacy, Nandan, and Christine attending the Gordon Research Conference on Viruses and Cells this week in beautiful Italy. Christine and Nandan presented posters. Stacy received a 2017 Burroughs Wellcome Fund Pathogenesis in Infectious Disease award! We are very excited about all of the exciting science that this award will make possible in the lab. Thanks BWF! The Horner Lab welcomes two new members to he lab - our new laboratory manager, Moonhee Park and a new MGM graduate student, Matthew Sacco. Happy Holidays from the Horner Lab!! Here's hoping that the new year brings lots of great science and more fun times like this one! Our recent publication, "N6-Methyladenosine in Flaviviridae Viral RNA Genomes Regulates Infection" was featured on the cover of Cell Host & Microbe! Check it out! (special thanks to our personal lab designer - Falguni Gokhale (Nandan’s mom!) for her help with the design!